Parkview Panthers want to offer a helping hand. Read the message below from one of our sixth grade students. We will be having a drive to support the many victims caught in Typhoon Haiyan. 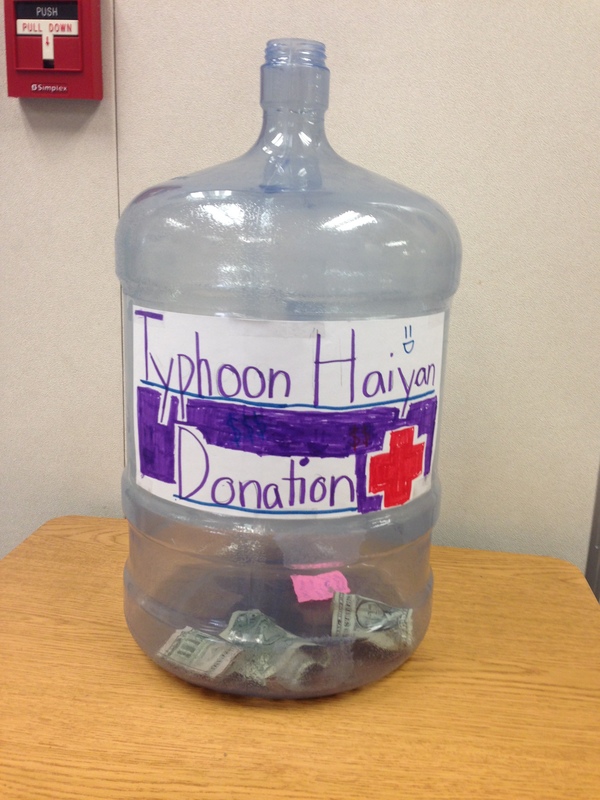 Bring any loose change to help support the victims of Typhoon Haiyan. The drive will start on Monday, December 9th and will end on Thursday, December 20, 2013. Our goal is to raise $174 before December 20th. If everyone brings in a dollar, we can exceed our goal by double. The collection jug will located in the auditorium before school, during first recess, lunch and after school. Money will be counted during the school day on December 20th. All proceeds will be donated to the American Red Cross Haiyan relief campaign. So come and donate money to support the victims of Typhoon Haiyan!